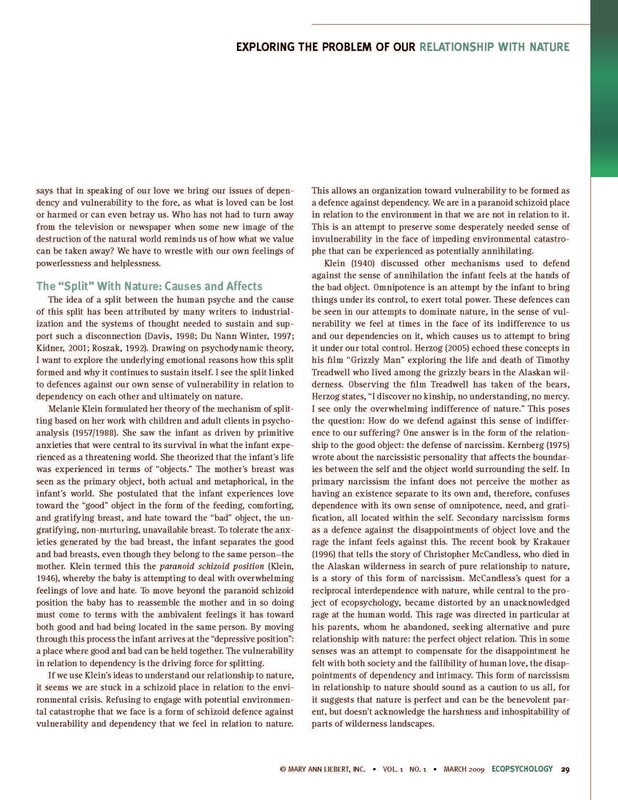 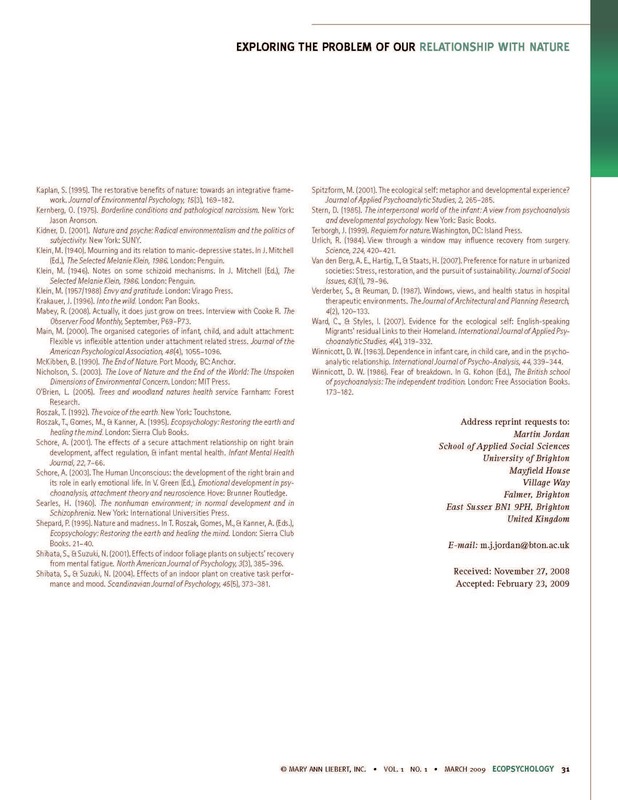 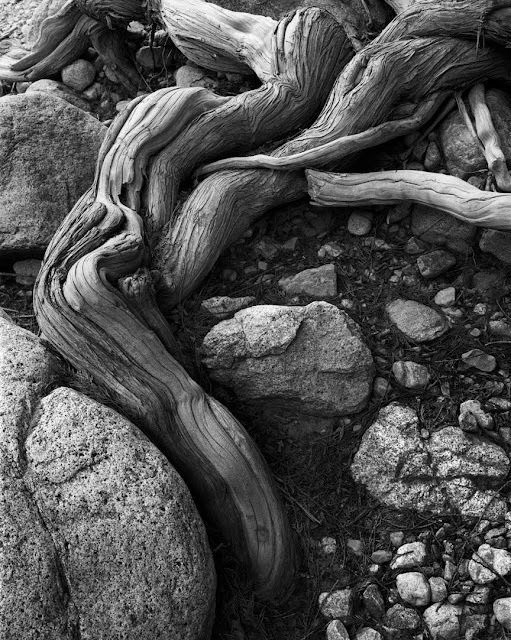 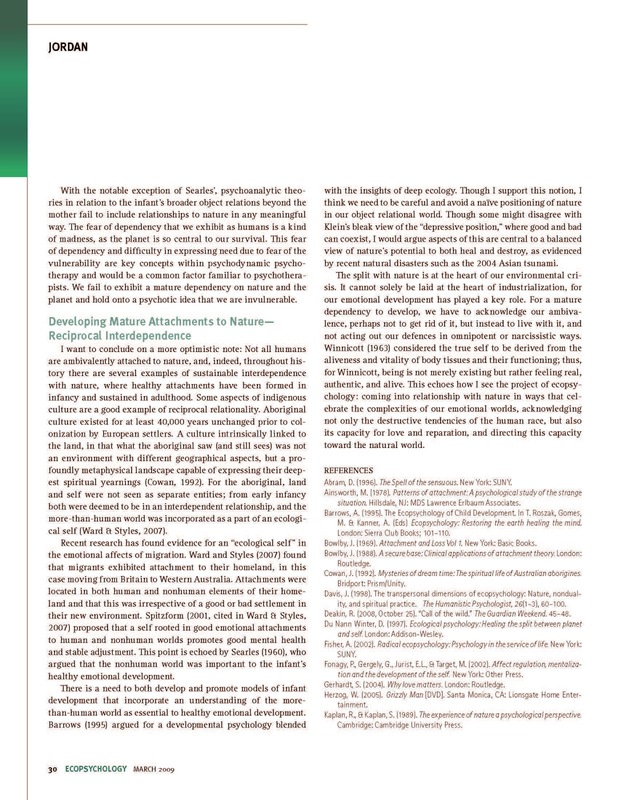 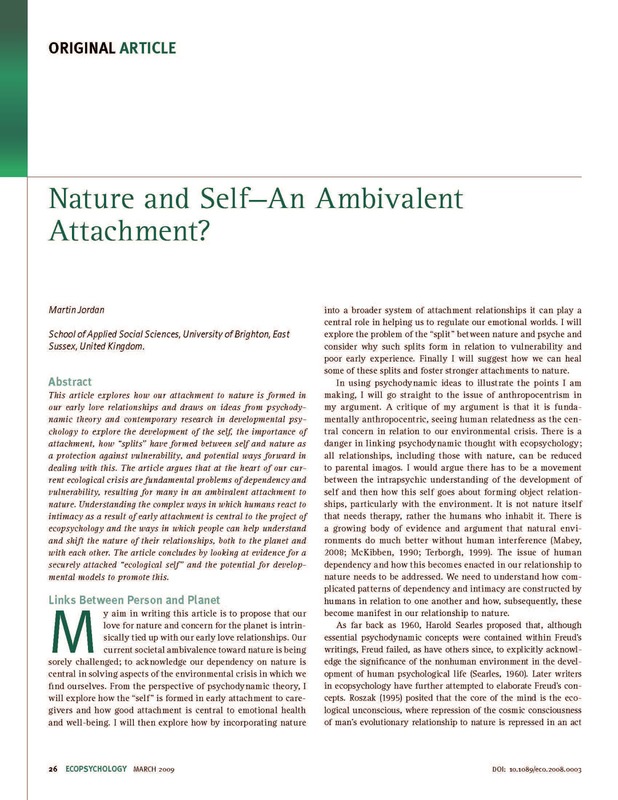 This article explores how our attachment to nature is formed in our early love relationships and draws on ideas from psychodynamic theory and contemporary research in developmental psychology to explore the development of the self, the importance of attachment, how “splits” have formed between self and nature as a protection against vulnerability, and potential ways forward in dealing with this. 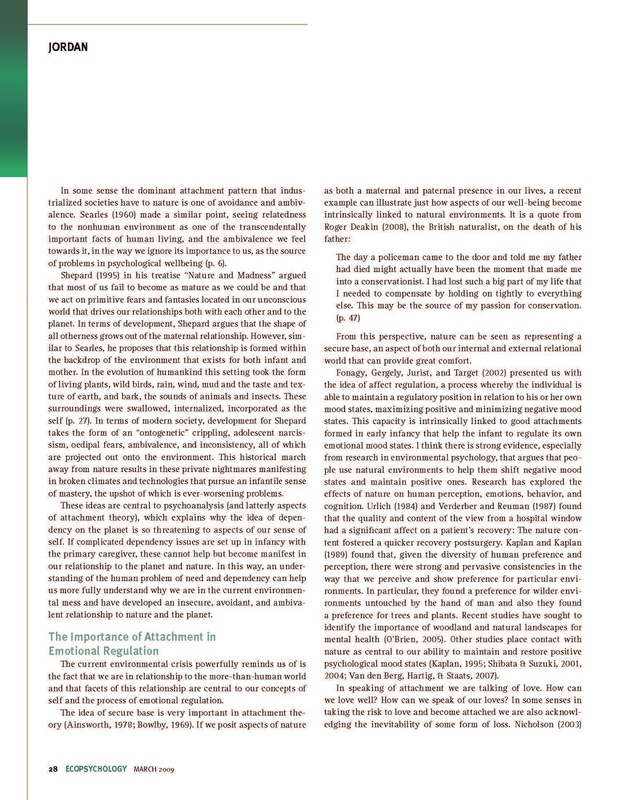 The article argues that at the heart of our current ecological crisis are fundamental problems of dependency and vulnerability, resulting for many in an ambivalent attachment to nature. 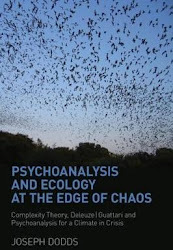 Understanding the complex ways in which humans react to intimacy as a result of early attachment is central to the project of ecopsychology and the ways in which people can help understand and shift the nature of their relationships, both to the planet and with each other. 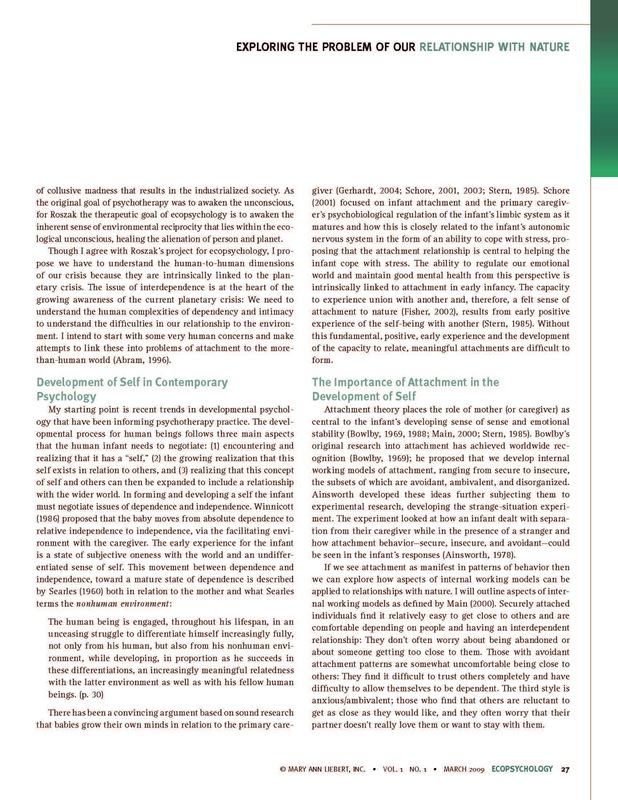 The article concludes by looking at evidence for a securely attached “ecological self” and the potential for developmental models to promote this.